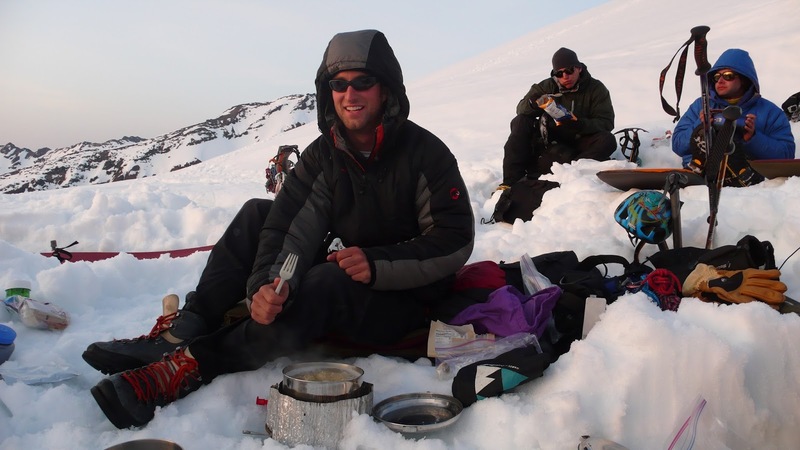 For backcountry cooking, you have to main options on the market for how to heat up your food: white gas stoves and canister stoves. For white gas, the stoves connect to pumps and external fuel cans that you can refill with white gas. For canister stoves, they connect to pre-pressurized canisters of isobutane that you dispose of after use. Each type of stove has its own benefits and drawbacks. In general, for long (week-plus) high-altitude trips, you will want a liquid fuel stove. They perform better at altitude and in the cold and are easier to fix in the field if something goes wrong. Because you can refill the fuel can, you end up with a less cluttered system because you don't have a bunch of spent canisters lying around. Liquid fuel stoves are also the best option for cooking for groups of 3 or more because you can boil water and get food going for longer and using less fuel. Some options, like the MSR Simmerlite and to some extent the Whisperlite, can be used to simmer food for cooking. Others, like the MSR XGK, are primarily very strong water boilers and not as good for cooking. The downsides of liquid fuel stoves are that they require priming before lighting the stove, which can be complicated and take some practice, and there is a greater risk of fuel leakage than with canisters. Canister stoves have the benefit of being simple to use for just one or two people for shorter trips. These stoves tend to be more compact and lightweight than liquid fuel stoves. Popular options include the Jetboil, the MSR Reactor, and the MSR Pocketrocket, among others. Canister stoves light quickly without priming and get water boiling quickly. The main downsides of these stoves ares that they are good water boilers but aren't very good for cooking food (they don't really have a "simmer" function and therefore tend to burn it) and they rely on canisters, which are less fuel-efficient than white gas and it's harder to measure how much fuel is left in them once you've started using them. The canisters can also depressurize in the cold which leads to your stove not producing a flame. If this happens, you need to rewarm the canister and it should readjust. You can keep canisters inside your sleeping bag at night and cook on a foam pad to help prevent this problem. In short, for longer trips at altitude, bigger groups or more elaborate cooking, white gas stoves are the way to go. If you're a small group that just needs to boil water and wants to go light a fast, consider a canister stove. For AAI Operations Manager Jason Martin's review of two different types of canister stoves, the MSR Reactor and the Jetboil, click here.